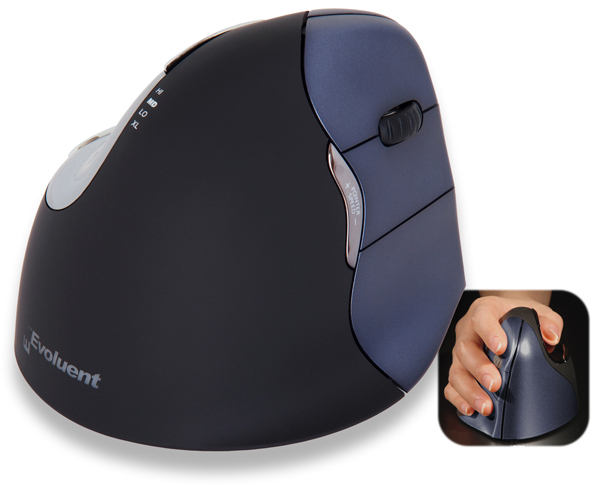 Users who prefer or need a wireless mouse can benefit from Evoluent ergonomics with the Evoluent VerticalMouse 4 Wireless. 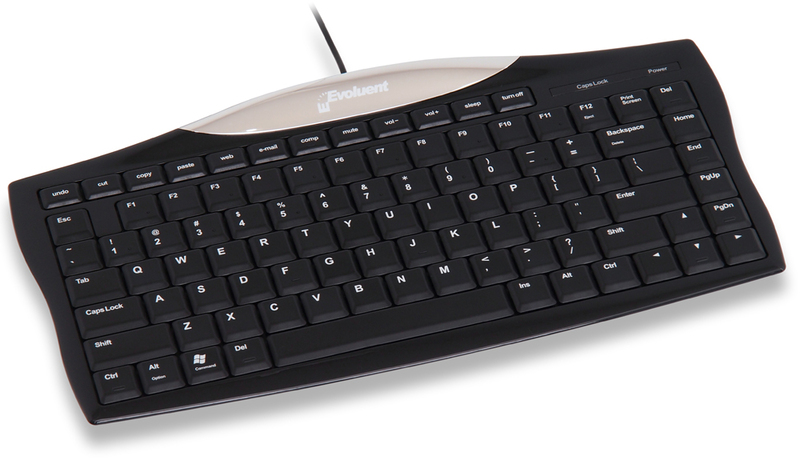 All of the features and benefits of the Evoluent Vertical Mouse 4 are available in the Wirelss model. Sporting Dark Metallic Blue buttons to identify it from it's wired cousins, the wireless model has all of the same Specifications and features combined with the convenience of being cordless. Wireless Transmitter/Receiver: The wireless transmitter and receiver do not interfere with your mousing abilities, as the 2.4 GHz radio frequency permits minimal interference between transmitter and receiver (with 30' range), and the USB micro receiver itself is slim and compact, avoiding blocking adjacent ports. Long Battery Life: Improved power consumption requirements enable a single AA battery to operate the wireless mouse for up to 3 months of regular usage while reducing the weight. The sensor never sleeps so pointer response is always instantaneous. 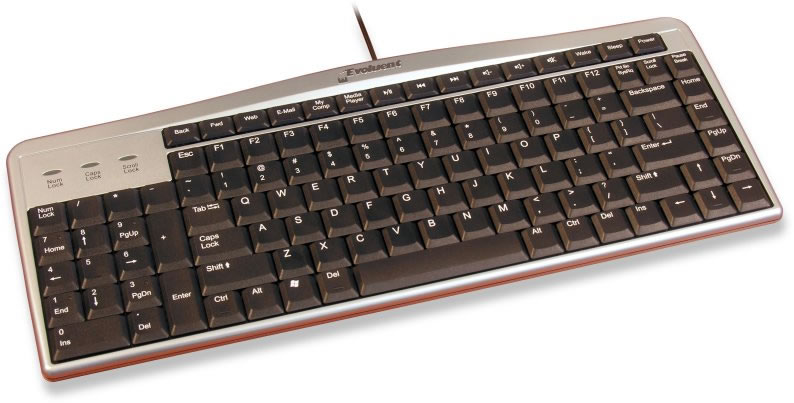 6 Buttons: The VerticalMouse provides a total of 6 buttons. Two thumb operated buttons and 3 finger operated buttons are provided. Also, the scroll wheel provides a fourth button at your fingertips. High Resolution Optical Sensor with Pointer Speed Indicator: The high quality optical sensor and easily accessible Pointer Speed button offer 4 resolution settings, enabling users to select the best balance of accuracy and speed for each task throughout the day. Finger Flange: A ledge along the bottom right edge of the mouse prevents your little finger from dragging on the work surface. Programmable Buttons: Using the latest driver, all 6 buttons are programmable to many different functions. This allows you to customize and optimize your mouse, speeding up common tasks with a single click. Some of the more commonly used programmable button features are described below. Also, you can create customized button programming for different applications so that depending on which application is active, your mouse can perform different preset programmable functions. Programming button number six as a "toggle" enables users to access a second layer of 4 commands via the finger buttons. Speed Toggle: Cycle through as many as 4 pointer speed settings with a keyboard shortcut or mouse button. For example, use a high speed for moving between monitors, a medium speed for ordinary tasks and a slow speed for graphics work. Auto Dwell Click: Automatically perform a single or double click by pausing the pointer. The time delay before activation is adjustable. Click Lock (or Drag Lock):Press and hold a button momentarily to simulate continued pressing without holding down the button. The time delay before activation is adjustable.